When the U.S. President visited Indonesia on a state visit in 2010, his dinner included nasi goring, that nation’s classic fried rice dish, which he praised as delicious. Nasi goreng evolved from Chinese fried rice. Chinese influences on Indonesian cookery are obvious. While Europe was struggling through the dark ages, trade developed between the two nations, and by the fifteenth century many Chinese émigrés had made the archipelago their new home. The Chinese culture considers it unthinkable to waste cooked food. So, leftover rice was recycled into fried rice. The Indonesians learned the Chinese stir-fry technique and adapted it to their own cooking style which includes a sweet soy sauce and a degree more spiciness than the Chinese. Not as well known but similar to fried rice, bahmi goreng replaces the Indonesian fried rice with stir fried noodles. Bahmi goreng is a delicious way to accommodate whatever leftovers you have on hand. This flexibility means you can offer tasty noodles as a side dish with meals while using up leftovers. If you like Chinese fried rice, you most likely would enjoy bahmi goreng, the delectable Indonesian treatment of noodles. Dutch traders did extensive trading throughout Indonesia. They adapted the rijsttafel (Ry sta fel), Dutch for rice table, from the Indonesian feast called nasi padan. Nasi padan is an Indonesian buffet featuring rice. A rice table can have dozens of different dishes in small portions, such as noodles, and egg rolls served with different rice preparations. Indonesian dishes are beloved in the Netherlands. Many Dutch children love bahmi goreng noodles for lunch, and consider it a local dish. Let’s make Indonesian stir-fried noodles. They’re simple to prepare, savoury and a good way to use leftovers in a delightful way. · 1 pound of leftover cooked noodles or fresh cooked, drained and mixed with one tablespoon oil to coat the noodles. · 1 pound (455g) peeled and deveined shrimp, or diced meat or poultry, OR: 11/2 cups green beans plus ½ cup chopped red sweet bell pepper (capsicum). If you are making a meatless goreng, feel free to use other combinations of vegetables. If you don’t already have cooked noodles, Boil Chinese egg noodles for 3 minutes, and then drain and put into ice-water. Drain again and rub 1 tablespoon oil into it. If you are using thin spaghetti, cook according to package directions and treat same as Chinese noodles. In a blender, food processor or mortar and pestle – make a paste of two tablespoons of onion and the garlic. Heat 2 tablespoons of oil in a skillet. Add the paste and the remaining onion. Add the shrimp or whatever you are using and stir fry 2 minutes. Add the soy sauce, celery, scallions, bok choy or bean sprouts, salt and pepper, ginger and chili paste and stir fry 2 minutes. Add the noodles and stir fry another minute to combine and heat. Add the coriander and serve. Some folks like to add a little lime juice at the end. I am always on the same page with you when you post your recipes. I sincerely love all the same kind of food you do. This sounds close to something I've put together on my own in the past. Thank you for always sharing your beautiful recipes. We love nasi goreng too! MANZANITA: You obviously have good culinary taste. Thank You for your support. DUNCAN: Nasi goreng really good too. Wanted to talk about bahmi goreng because it is lesser known around here. Thanks for calling. SCHMETTERLINGWORDS: Thank you for your complimentary comment; and hey yeah, who indeed could resist these noodles. Hmm, honestly, I've never tried noodles this way. But with two pasta crazy kids at home, I think I must try this recipe...! Yum! This sound fun to try. But for some reason, I think winter or fall would be a good time to test it. PLATEFUL: It is good. It's sweet and spicy,I hope you and the children can try it. DIEGO: It definately is. Thank You. I love stir fried noodles and the fact that the Prez enjoyed it gives me added impetus to try it too :))) Thanks Anthony for this simple yet delicious recipe! It's almost 1am and all can think about now is this recipe! I have got to try to make this soon! It looks so good. Congrats, Anthony, you won! Please contact me as soon as you can! NOW SERVING: You're welcome, please enjoy. JOANNE: It is good, you will love it, but please don't neglect your rest. ELIZABETH: This was a most pleasant surprise dear lady; Thank You very much. Best to you, carry on. AIPI: Thank You, is a great noodle and vegetable dish. INVERSE: These noodles will satisfy your hunger. Thank You. That's a dish we've never had before...will have to give it a try!! sounds interesting. 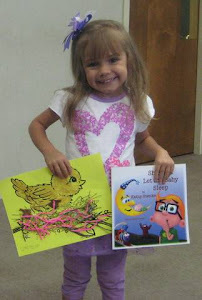 Thanks for stopping by Oak Lawn Images and my On Being a Grandma blog!! I appreciate the feedback! NATURAL ONE: I think it's great, am sure you will love it. KATHY: You will love this southeastern asian noodle dish. This recipe sounds good! Thanks for sharing it. Anthony, you were winner #27 for the daily giveaways for Christmas in July on my blog. Please send me your email address so that I can forward your prize to you. It sure is a savoury and Presidential dish:) Looks deeelisshh!!! SUSANNE: Thank You, I feel so lucky. MALLI: Thank You, it is for sure. That sounds delicious and flavorful. I've had it twice at a restaurant, but never made it home. Yum! Anthony regards to the fried treacle sweet. INDIE,TEA: You will enjoy it when you make it. Thank You. TORVIEW: Thank You for your kind words, I appreciate that. I'm thinking that you mean to use the wheat kernels. Oooh sounds yummy. :-D I'll probably enjoy this dish because I love noodles but despise rice. MISHA: I am surprised. Why would you despise rice? Whenever there is leftover rice at our house I eat it straight out of the pot (sometimes with a little soy sauce). Of course if it's not prepared right, I guess you might not like it. But what a burden, to go through life without rice. Oye. Looks fabulous...I'm going to give it a try. We love the Asian foods and flavors. And thanks for the comment-excellent song lyric! JOYCE: Asian flavours are very interesting, I meet people all the time who are unfamiliar with them. Thank You, have a wonderful time at the conference. 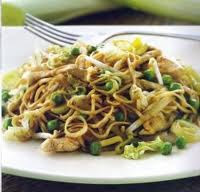 Noodles are one of the food which I love the most, looks very yummy! UMM MYMOONAH: Yeah noodles are a great food, Thank You.